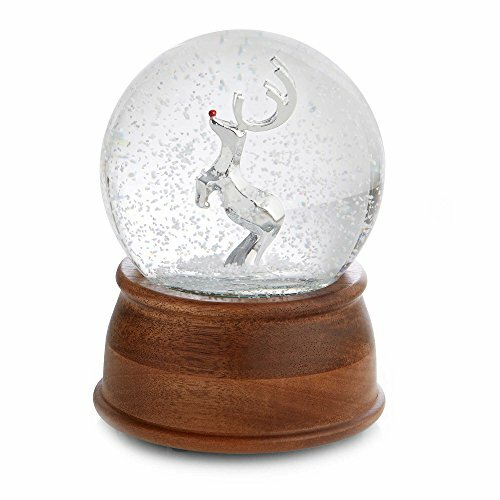 Let the whimsical Nambé Reindeer Snow Globe guide your sleigh this holiday season. The globe contains a certain red-nosed reindeer poised to take flight. Wind the key to play a holiday tune and turn on the LED light to enjoy a stream of blowing snow. If you have any questions about this product by Nambé, contact us by completing and submitting the form below. If you are looking for a specif part number, please include it with your message. Pack of 2 Icy Crystal Illuminated Musical Christmas Snowman Snow Globe 9"